360-degree immersive videos have exploded in popularity. Consumers are eager to consume the new innovative type of media, with 63% of people who have experienced an immersive experience reporting that its “the next big thing”. Increased engagement and the opportunity to tell impactful stories means that the immersive video format is also popular with businesses. One 360-degree advert for Hong Kong Airlines was 35 times more effective than a parallel 2D ad. Higher consumption is driven in part by the more widespread availability of Virtual Reality (VR) headsets and the shareable nature of the videos on social media platforms like Facebook and YouTube. Businesses have responded by putting more time and money into immersive video production. But shooting these videos presents a range of challenges. From the pre-production and planning stage, through to production and editing, there are many potential hazards and hiccups that can destroy your video project. If you are thinking about shooting your own 360-degree immersive video, it is important that you do not waste your investment. Opening video up into new dimensions gives new possibilities to your videos. But breaking this fourth wall also brings up new challenges and doesn’t lend itself to every format and environment. Some of the most popular videos are shot in an industrial or engineering environment. Large-scale projects like this are appealing to viewers, and is a perfect opportunity to use immersive video to inspire a sense of awe and wonder. The BBC’s Top Gear team recently uploaded 360-degree documentary about the Bloodhound supersonic car project which aims to break a world record. In a 360-degree video uploaded to YouTube, viewers can see shots of the 1,000-mph car being assembled, but they can also scroll right around the production hangar to see what’s going on behind the scenes – offering a more authentic experience. Other popular videos show exciting activities or events. 360 video allows viewers to ride rollercoasters and base jump off the side of mountains, all from the comfort of their home. Companies that are lucky enough to work in such high-octane industries are well placed to benefit from immersive video. But businesses can also use the videos to show off some of the more mundane aspects of their product or service.This cat café and adoption centre, for example, uses subtle but engaging 360 videos to show off their furry friends. One of the most practical ways that a business can use immersive video is by using it to show off their premises. This can work particularly well with engineering and manufacturing firms. For businesses with no customer-facing locations, 360-degree video tours are a great way of showing off what your company looks like behind the scenes. This insider look can make people more likely to purchase from you. Here you can see a guided 360-degree video tour Google produced of their data centre. The video shows customers all sorts of interesting nooks and crannies and the guide does a fantastic job of engaging the audience and providing some extra features, like interviews. This tour of one of Toyota’s factories does not have a guide but it is a great fly on the wall immersive video, providing insight into a place that customers would not get to see otherwise. If you have watched the above 360-degree videos on a desktop computer, then some of the magic of the experience may have been lost in clicking and dragging around the screen. Fortunately, VR technology, which helps provide a more seamless immersive video experience, is becoming more widely available. Professional-grade VR technology is still expensive, but it is becoming more widely available. One of the most exciting VR developments, however, has come in the compatibility of smartphones with VR technology. VR headsets that use your phone to create the image are becoming more and more popular, and are relatively cheap to buy. 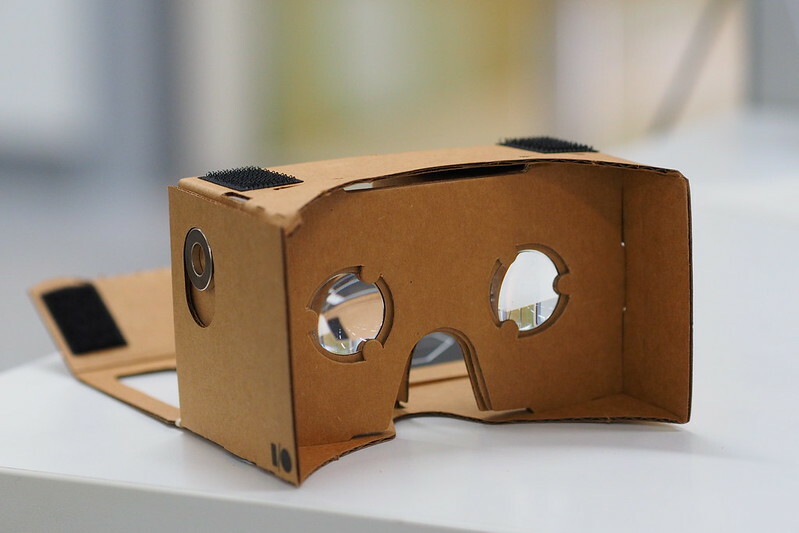 You can pick-up Google’s extremely low-tech cardboard VR headset for £15. More than half of all video is now watched on mobiles and tablets and VR technology is improving the mobile watching experience, putting people right there in the action. For businesses, this translates into the opportunity to share richer stories, more engagement and more opportunities to sell. Some brands are using 360-degree video to great effect on compatible social media platforms such as Facebook and YouTube. Facebook has been a leader in immersive video, with algorithms seeming to favour VR-compatible content. Many pages still seem to be experimenting with the technology and there are lots of innovative ways that immersive videos and photos can be used. As you can see from the below example, the content doesn’t have to be too complicated to generate engagement – as long as it appeals to the audience. In this case, students. Producing an immersive video can represent a significant investment for a company. Like with all big investments, it’s important that the company maximises this investment. 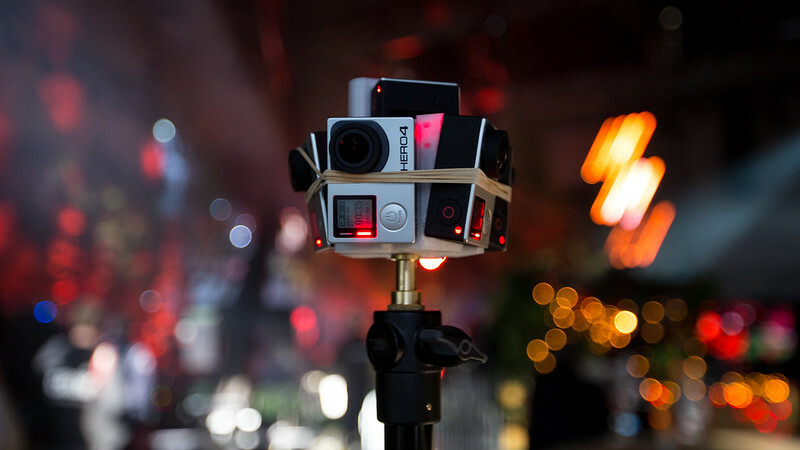 Here are Hyperfine Media’s some tips for working with 360-degree video. 360-degree video is limited in what it can shoot. With normal cameras, you have control over what the viewer looks at, so you can make sure they are always focused on the subject you want them to see. You need to make sure you pick a format of video that works when the viewer can see in all directions. Site tours and other immersive experiences work well, but interviews and case study videos may not be as appropriate – especially if the viewer can see half a film crew behind the camera. Picking the right environment is all about choosing a setting that will appeal to and engage your target customers. Look at the most popular content you and your competitors have published in the past to find out what kind of settings your audience appreciates and plan immersive content around those moments. As we have already discussed, heavy manufacturing and engineering environments provide a good level of visual stimulation to keep viewers happy. But remember that 360 watchers will get a full view of your work environment, so make sure it’s well-kept and don’t film any equipment or practices that you wouldn’t invite your competitors to come and inspect. When it is done well, immersive video can look impressive. But doing it well requires a lot of editing work. Older immersive video rigs are usually made up of several different cameras that are strapped together. Turning these pictures into a 360-degree video requires some careful stitching work which can be quite complicated. Many newer immersive video cameras come with software that automatically stitches the pictures together, but these kinds of cameras are expensive. It can also be complicated to add extra elements such as captions or subtitles to these videos. To learn more about immersive video or to discuss a project, speak to a member of our production team today. Call: 0161 820 2369.